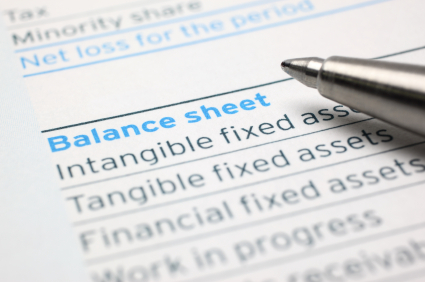 Confused About the Balance Sheet? The balance sheet reveals how healthy your business really is. It's a bit like showing someone your private parts! So careful who you show it to. We’ll begin with the basics of reading and understanding this financial statement. Let the fun start now ... as you discover the relationships between the numbers and begin to understand how they affect your business. Click on an image and/or link below to go to the chat. The balance sheet explains the financial health of your business and its future growth prospects. ... How much money your business has made ... or lost ... since inception. It reveals how your business finances its operations and what your business purchased with your financing. When we crunch a few numbers in the next section, some very interesting stuff is uncovered - such as how efficiently run your business is. This report gets its name because all the accounts must sum to zero ... soooooo the sheet balances! Get It? Here's how it does it. (3) reinvested profits - the business’s cash. I can see you thinking ... What's my point? The idea I want you to see is that the balance sheet is relevant to you as a business owner. You can play around with the formula and rearrange it or rename the parts to something you remember and understand. It doesn't have to be in accounting language. The balance sheet is usually presented in one of two formats. In Canada, the balance sheet format lists each group directly under the other in the order shown. If you are a visual learner, this sample financial report of a very basic balance sheet may be helpful to you. You can get a look at what an actual balance sheet looks like ... just in case you have never seen one before. Another format used in various parts of the world is listing Assets down the left hand side of the page and Liabilities and Owner's Capital down the right hand side. Just so you know ... Canada revised / updated their GAAP (Generally Accepted Accounting Principles) to IFRS (International Financial Reporting Standards) and ASPE (Accounting Standards for Private Enterprise) in January 2011. Effective January 2012, there is also a standard for not-for-profit organizations. I am not up on the new IFRS reporting standards, except for a few articles I've read, as they don't affect my clients. These new reporting changes apply mostly to publicly traded companies or companies requiring international financing. The Accounting Standards Board (AcSB) has developed a "made in Canada" financial reporting standards for private enterprises call Accounting Standards for Private Enterprise (ASPE). You can keep up to date on annual changes to ASPE on their web page Standards for Private Enterprises. It's just not very user-friendly and you have to wade through a lot of stuff. The CICA website had a great resource page dedicated to ASPE. However since the conversion to CPACanada their site is very unfriendly and pretty useless if you ask me. BDO Canada on the other hand has a very user- friendly website. You'll find their useful resource at www.bdo.ca/en/Library/Services/assurance-and-accounting/ASPE-Knowledge-Centre/pages/default.aspx . The standards were released in December, 2009 and went into effect January 1, 2011. As a result, you will find notes throughout this site whenever the new standards affect your financial reporting system. CPACanada's website (formerly CICA) had links to sample / model / illustrative IFRS Financial Statements. Of course now they are charging $200 to see them. However, as of December 2014, BDO Canada still has some illustrative statements on their website. It is good to keep checking back their site because new models are released each year incorporating any changes that have occurred. The CICA had a lot of statements to choose from in each category. -First time adopters choices are condensed, complete, complete - US GAAP to IFRS. -There was a condensed set for existing IFRS preparers. -You could even check out the statements categorized by industry. International accounting standards (IFRS) are principle based and designed towards flexibility. US GAAP is rule based and designed towards conservatism. LIFO is prohibited under IFRS because "although it effectively matches the current revenues with expenses, it doesn't properly match the true flow of inventory, and costs can quickly be outdated." Under GAAP, extraordinary items are listed separately as they are not considered part of operating income or loss and you don't want them to distort it. Under IFRS they are line items reported together and not segregated. Development costs do not have to be expensed under IFRS as they do under GAAP. You have the option to capitalize (report them on your balance sheet instead of the income statement) and amortize them under certain conditions. On your balance sheet, PPE are valued at cost under GAAP. Under IFRS these assets are revalued at year-end to reflect material changes in market value. This also affects depreciation which has to be recalculated based on the revised market value of the assets. This comparison was IFRS vs. U.S. GAAP. One of Canadian GAAP's standards is IFRS. Now that we've covered why balance sheets can look differently from one business to another, we'll briefly review each component of the balance sheet then move on to the ratio analysis. When you look at the balance sheet, keep in mind that the information is for a specific date in time. Think of it just like a photograph of how your business looked at that moment in time ... a snapshot frozen in time. The income statement is more like a video. It represents activity in your business over a particular period in time. The period varies and you have to read the heading to figure it out. It could be a month, a quarter, a year. The results (whether you made a profit or loss for the period) of the income statement show up in the owner's equity section of the balance sheet. ... Balance sheet - is like a snapshot or a photograph. ... Balance sheet reports the profit or loss from the income statement in the Owner's Equity section. Learn about bank reconciliations and other account reconciliations by clicking here. any prepaid expenses such as insurance or rent. Have you wondered if the new Accounting Standards for Private Enterprise (ASPE) that came into effect on January 1, 2011 affected temporary investments on your balance sheet ... like GICs and stocks? Grant Thornton (www.grantthornton.ca), in their Catalyst Winter 2010 newsletter, says yes. GICs will continue to be measured at amortized cost, as will privately owned stock. Amortized cost is defined as the original cost plus or minus repayments, amortization and impairments. For GICs, accrued interest (interest earned but not paid out until the GIC matures) is added to the carrying amount of the GIC ... which is the same as existing GAAP ... so no change there. will be treated differently than existing GAAP. They will now be measured at fair market value (FMV). The quoted market price is to be used as the FMV. The transitional adjustment to FMV is recorded through retained earnings, not profit or loss. However, ongoing fluctuations will be recorded through profit or loss. 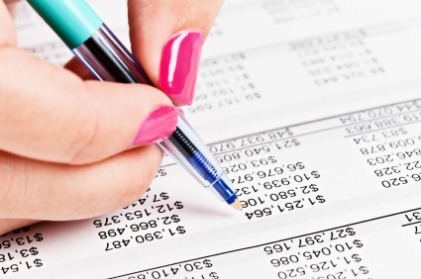 Accounts receivable represents amounts your customers owe you. Improve your cash flow by invoicing promptly, no delays. Presenting the invoice at the completion of the sale is the best. Then follow up with monthly statements if the account is outstanding. 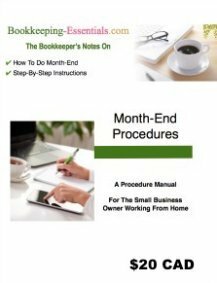 If you are using a bookkeeper, ask that it be part of the regular routine. I use QuickBooks software and it is very easy to go in and run statements to send out to customers. Consider requesting a customer deposit. If you do receive customer deposits, learn how to book the entry correctly the first time in How to Record and Apply a Customer Deposit or Prepayment. The sooner you get your cash, the less likely you are to run into cash flow problems. Remember you are not a bank and there are a lot of ways to accept credit card payments these days. Check out Square and PayPal as two easy solutions to eliminating the need for A/R in small businesses. The purpose of an inventory count is to ensure the general ledger equals the actual merchandise on hand and to account for theft, breakage, obsolescence and shrinkage. You should perform an inventory count as close to the last day of your fiscal year-end as possible. If a portion of your inventory contains large dollar value items, you should try to do a quarterly inventory count on these items. 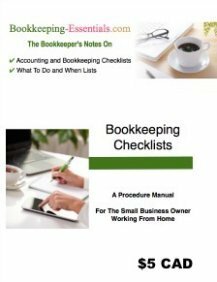 The bookkeeping entries to record after you have performed your inventory count are found in The Income Statement - You Want To Understand Profitability. Inventory is recorded using one of two methods. Which one do you use? Record any shipping and/or delivery charges as part of your inventory cost. Do not expense it. The cost of shipping or delivery of inventory will get expensed when the item is sold as part of the cost of goods sold. Joanna Tompkin's book, Accounting for Big Kids which I believe is now out of print, explains that when you purchase inventory from the United States, there are Landing Costs. The landed costs include the vendor's invoice, US exchange, duty, freight and possibly other charges. All of the landed costs get included as part of the cost of your inventory to be expensed only when an inventory item is sold. A basic principle in accounting is to generally (there are some exceptions) record purchases at their actual cost instead of their current market value. This eliminates guesswork and bias which leads us to an accounting constraint. The constraint of conservatism states that accounting should be fair and reasonable. Some accounting entries require judgments, estimates, opinions and a choice of different methods of reporting. When making these decisions, try to never overstate or understate the transaction. Always lean towards the conservative choice. The general rule is ... when you are uncertain about two choices of values ... book the entry that records the lesser asset amount and/or the lesser profit amount. Please note: In Canada, the cost principle was modified with the new Accounting Standards for Private Enterprise (effective in 2011) which moved in part towards International Financial Reporting Standards (IFRS) ... which is either historical cost or current valuation (IFRS IAS 16). Under IFRS rules, revaluation to the current value is used when the fair value can be measured reliably ... and revaluations on method, useful life and residual value are reviewed annually. See GAAP Updates for more information on the new standard for the booking of temporary investments and plant, property and equipment. The U.S moves towards this standard in 2014/2015. For most small businesses without investors, using historical cost is the easiest method to use. Unless there is a valid reason to switch to the current valuation method, stick with historical cost reporting. Capital assets are things you own that have a life longer than one year such as your tools, equipment, office furniture, computers and computer software. It can also include land (and improvements), buildings and vehicles. Formally on the balance sheet, they are usually referred to as Plant, Property, and Equipment (PPE). I like to set up my chart of accounts so that my fixed assets are grouped by CCA group classifications ... to make tax preparation easier. If you take a close look at your chart of accounts, you will probably also see accounts in the capital asset section called amortization. The amortization accounts are used to allocate a portion of the original cost of your capital outlay to your expenses on the income statement. We'll talk more about this account when we look at the income statement. For our purposes here, and to keep it simple, other assets is going to include anything else you own that doesn't fit into current assets or capital assets. Have you wondered if the new Accounting Standards for Private Enterprise (ASPE) that came into effect on January 1, 2011 affected how you report capital assets? Grant Thornton (www.grantthornton.ca), in their Catalyst Winter 2010 newsletter, says no ... but you have a one-time opportunity on transition to re-measure an asset to fair market value (FMV). If adjusted, you can use the amount as cost for depreciation purposes going forward. The newsletter points out there are positive and negatives ... so they wrote an article specifically on this subject. Look for IFRS the "fair value" decision on their website. The article states that "it is not a popular choice of other comparable countries that have already transitioned to IFRS". If you make the election, additional disclosures are required for the first year only ... and the adjustment is recorded through retained earnings, not profit or loss. The June/July 2010 issue of CA Magazine (www.camagazine.com) has an article titled What's Changed?. It notes a change in the recording of asset retirement obligations. The measurement has been simplified. "ASPE requires it to be measured at the best estimate of the expenditure required to settle the current obligation at the balance sheet date." The current obligation is to measure it at fair market value which can involve complications at times. Where does Accounts Payable appear on the trial balance, income statement and balance sheet? Accounts payable are created when you purchase goods and/or services on credit ... meaning your supplier allowed you to take the item without paying for it at the time of purchase. As noted above, the accounts payable account is found in the current liability section of the balance sheet. To locate Accounts Payable on your Trial Balance, you need to become familiar with your Chart of Accounts, as it is your blueprint to your accounting system. If you can't find Accounts Payable in your chart of accounts, it may be called Trade Payables. Accounts Payable is not part of the income statement. However, when you initially book your account payable (you buy supplies or services on credit), your purchase may show as an expense on your income statement. I say "may" because if you purchased a capital asset, the expenditure will not show up on your income statement. A good practice to get into is to use your Aged Accounts Payable Report to help you manage your cash flow. Have you wondered if the new Accounting Standards for Private Enterprise (ASPE) that came into effect on January 1, 2011 affected the way you report callable debt? The June/July 2010 issue of CA Magazine (www.camagazine.com) has an article titled What's Changed?. The article explains that callable debt ... and debt obligations expected to be refinanced ... is now included in Section 1510 Current Assets and Current Liabilities of the CICA Handbook. There is now an example provided of the presentation format of callable debt under current liabilities on the balance sheet. Have you wondered if the new Accounting Standards for Private Enterprise (ASPE) that came into effect on January 1, 2011 affected how you report income taxes payable on your balance sheet? Grant Thornton (www.grantthornton.ca), in their Catalyst Winter 2010 newsletter, says yes ... now you have options that do not require unanimous consent of all the shareholders. Many of the differential reporting options under the existing GAAP have been integrated into new standards as policy choices. When accounting for income taxes, you can now choose between the taxes payable method or the future income taxes method. The newsletter explains that is unclear of the impact of adopting the taxes payable method on taxable income and taxes right now as CRA has not issued any direction yet on whether they will accept pre-tax accounting income as the starting point. BDO (www.bdo.ca) shows an example of the taxes payable method in Appendix B of their article, Filling the GAAP: New Standards for Private Companies. When entering a loan payment to the books, always remember that only the principle portion gets booked to the loan account (on the balance sheet). The interest portion of the payment is expensed (on the income statement). The bank will be more than happy to provide you with an amortization (depreciation) schedule … or you can run your own. It will show you the split between your principal and interest expense. If you get a monthly statement, you could reconcile the account to the statement each month. It is a good bookkeeping practice to verify any of your balance sheet account balances to third party sources. Each year end, you will look at your loan statement for the year (you may have to request a copy) and make any needed adjustments to the loan balance ... booking the difference to interest expense. Each year-end, your accountant will make an adjusting entry for the current portion of your long term debt. The adjusting entry reclassifies the amount of principle due in the coming year to a current liability account. You don't need to concern yourself with this entry or this account during the year except when you are balancing your loan to the banks records. You will need to remember to add the current liability account and the long term liability account together when balancing your loan balance. Book the principal portion of all your loan payments during the year to the long term liability account. How to account for your business loan proceeds can be found in the article How to Record Common Bookkeeping Entries. In this section of the balance sheet, you will find your cash investment in the business (Owner’s Equity) along with your owner's draws, and current year net income or loss. Owner’s equity is also referred to as owner’s investment or owner’s capital. Have you noticed I've been switching the terminology? When you see any one of these terms on a balance sheet, you know the business in not incorporated. It will be a sole proprietorship or a partnership. If the business is incorporated, this section of the balance sheet would contain a line for share or stock capital and for retained earnings. Professionally prepared financial statements normally have just one line showing called Owner’s Capital. All the categories discussed above still exist in separate accounts in their general ledger. However, for financial reporting purposes, they have consolidated the accounts into one line. It is also worth noting that the net income (loss) amount reported should match the net income (loss) on the income statement. I'll chat a bit more on this section of the balance sheet during the Income Statement discussion coming up shortly. What I'd like to mention right now is that equity means how much you have invested in your business. But don't confuse it with the worth of your business. ... Why? Remember the cost principle says to record assets at the original cost (in most cases). This means that you cannot look at the equity section of your balance sheet and think that is how much your business is worth. To do a very rough determination of the current worth of your business, you would have to adjust your assets to their market value. That would give you a better idea of your business' worth. However, to determine the real value of your business, you will have to factor in growth potential, quality of your assets, your market position ... just as an example. The point I really wanted to make is that your equity does not represent the worth of your business. This concludes the first discussion on the balance sheet. 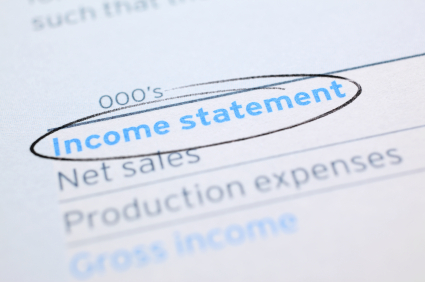 Before we move on to ratio analysis, we’ll look at the income statement. … confused about all the debits and credits being thrown around? You'll like my "cheat" table. It should unscramble the confusion for you. Before you go, why don't you test your balance sheet knowledge.